Demand for avocados has increased so drastically in recent months that a Mexican restaurant was forced to pull the ingredient from its menu altogether. The price of the delicious fruit that seems more like a vegetable has doubled in the last year hitting an average price of $5.06 for a 200g avocado from $3.38 last year. 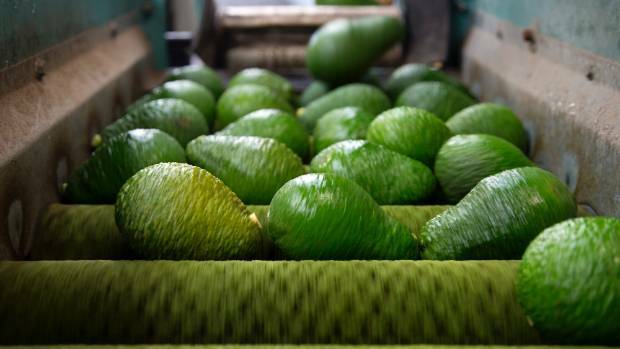 In the last month alone, the price of avocados has increased 37 percent making it the highest cost the fruit has ever gone up to since New Zealand began recording the price. A spokesman from a Mexican restaurant said the chain officially pulled the avocado from its menu on Monday after the executive chef told all of its employees to stop ordering the fruit and only use the remaining quantities until supplies ran out. Last year, the same restaurant was forced to pull guacamole off its menu after raising the price of the side dish from $10 to $14 before pulling the item from menus altogether. An unnamed spokesperson for the restaurant said it would have had to charge $18 for a smaller portion. The spokesperson also said staff would have to be honest about to customers who inquired about the change saying, "We just have to be honest with them. It's a battle we just can't fight anymore." New Zealand's price statistics manager Mathew Heigh said depending on which season it was would have a big factor on the cost of the delicious fruit. Avocado prices typically peak in July and August since the main harvesting season was from August to March. Oddly enough, statistics showed the price of other fruits and vegetables like mandarins and broccoli dropped significantly while the price of avocados skyrocketed. Perhaps the surge of health and wellness has contributed to the rampantly increasing demand. The cartel , say residents, have stuck their hand deep in the industry’s pockets..